Mexico (3 quota places), Argentina (2), Canada (2) and Guatemala (1) secured 8 qualification tickets for the next Youth Olympic Games (YOG), to be staged in Nanjing, China, from 16 to 28 August 2014. 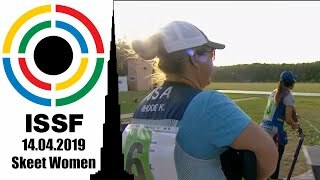 Quotas were available to countries whose athletes finished first and second in four events at the American Continental YOG Qualification competition, organized during the latest ISSF World Cup in Rifle and Pistol events in Fort Benning, GA, USA: 10m Air Pistol Youth and 10m Air Rifle Youth (both men and women). Participants were also needed to perform a qualification score equal to or higher than the Minimum Qualification Score (MQS). 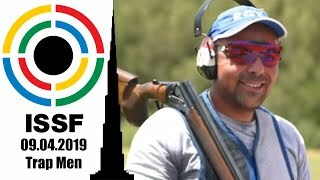 Every National Olympic Committee (NOC) was entitled to win a maximum of one quota place in each event and one shooter could only secure one quota place. The age limits: only athletes born between 1996 and 1999 are eligible to take part in the Youth Olympics. 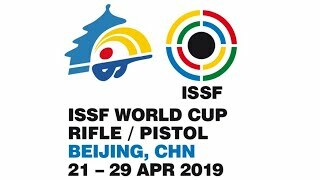 Mexico was atop the Quotas by Nation standings thanks to Jose Santos Valdes Martinez (2nd at men's 10m Air Rifle), Lia Borgo Torres and Ana Paula Ruiz (the two of them won, respectively, women's 10m Air Rifle and 10m Air Pistol). Then came Argentina, who pulled it off successfully at both 10m Air Rifle contests: as for men, Lucas Decicilia was 1st; Fernanda Russo came 4th in the women dispute—but she gained the quota place anyway, because Mexico occupied the three previous positions (while being able to get not more than one quota). 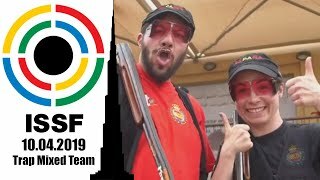 Canada was all about 10m Air Pistol: Peter Karl Otto Schulze took men's silver pocketing Canada's first Quota, whereas women's 5th place by Andrey-Anne Le Sieur was enough for another quota. Le Sieur's compatriot Dayna Marie Boser was actually 4th, but her qualification score (344, lower than the MQS, 365) didn't allow her to run for the quota. Le Sieur, on the contrary, slightly overcame the MQS (366). Finally, Guatemala earned its only quota place after Wilmar Steven Madrid Diaz bagged men's 10m Air Pistol gold medal. 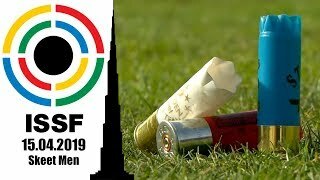 Some quota places have already been distributed and more will be awarded in the next months (the total is 80) in the designed Continental Qualifying Competitions. 24 quotas were given at the latest European Championship in Moscow (host country Russia got the most of them, 4, followed by Ukraine, 3). Results the Youth events of Fort Benning can be found here.